Over two days you can choose from more than 100 breakout sessions covering a broad range of topics and technical depth across six core themes; Innovate, Secure, Build, Analyse, Operate, and Migrate. Attend introductory sessions on new and existing AWS services or participate in sessions that go deep into architecture and code. All sessions are delivered by subject matter experts from AWS, partners, and customers who will share their experience and lessons learned. With over 170 services, AWS has the industry leading services breadth and depth that enables millions of customers worldwide to build and operate applications in ways never seen before. 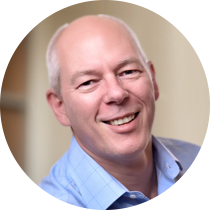 Join Glenn Gore, World Wide Lead Solutions Architect for AWS as he shares global insights and local customer stories on how organisations of all sizes are already using AWS to drive greater business efficiency and innovate faster for customers. Focusing on best practices as well as thought leadership on where to next, the AWS Day One keynote is relevant for both technical and business leaders. Are you energised by learning about cutting-edge solutions and approaches to transform your business? Join us at the Innovate track to explore how to build the future, and leave with practical tools to help your business unlock experimentation and change with disruptive technologies. Whether you're interested in innovating at velocity, Robotics, AI and Machine Learning, Edge and IoT, these sessions will open up new ways of thinking made possible with the cloud. Imagine if you could know more about your facility from your tablet than by walking around it yourself! Through 4D interactive virtual worlds, Woodside's "Intelligent Asset" does just that - an immersive experience where operators can move through the facility remotely in real-time or back in time. They can see and hear the environment, with advanced analytics providing the continuous insights only to those things that are important or require attention. Join us and learn about how Woodside combined the latest AWS services including Amazon Kinesis Video Streams, Amazon Sagemaker, AWS Robomaker and Amazon IoT Greengrass, innovating to synergistic effect creating "better than human awareness" of their assets. As Alexa has grown, how we approach innovation has had to evolve as well. From feature launches to machine learning to managing dependencies, learn how AWS contributes to Alexa’s ability to deliver innovative and delightful experiences and what it takes to build scalable innovation in a service with millions of live customers. In this session we will explore the role of rapid prototyping to accelerate business outcomes; diving deep on how to unlock the power of the prototyping model. Delivering outcomes in a day, a week, or a month is often challenging, so we'll explore how to define deliverables, arrange resources, run sprints, do Kanban, and produce outcomes. Hear about the AWS Rapid Innovation Prototyping methodology and other techniques to test and validate value early. One of the most challenging aspects of managing a supply chain is predicting the future demands for products and services. George Weston Foods (GWF) wanted to reduce the restocking frequency and food wastage for its baked good products in all of its 19,000 wholesale customers in Australia and New Zealand. By leveraging the power of Amazon SageMaker’s DeepAR forecasting model, GWF was able to improve their demand predictions using a single machine learning model for all stores and products. In this talk we will explore how GWF is optimising their supply chain using AWS Glue and Amazon SageMaker, providing a better customer experience, reducing waste, and improving costs. You will leave this presentation with the knowledge you need to get started building your own supply forecasting model relevant to your business. Amazon Personalize is a new fully-managed service that puts over 20 years of personalisation experience from Amazon.com into the hands of your development teams. Join us for this session, featuring a guest appearance from the Lead Data Scientist of Domino’s Pizza Enterprises, as we dive into Amazon Personalize and explore a real life journey from blanket broadcast campaigns to AI powered personalised customer engagement. At AWS we think of builders as both inventors and also maintainers, and that every existing solution can be improved. You have to keep iterating, listening to customers around what they care about, and building. This track will cover tools, techniques, tips, tricks and tactics for both types of builders. Developer eXperience (DX) is very personal, with every developer preferring to customise the way they work and the tooling they use - from choosing their indentation, to the colour scheme and key bindings of their preferred IDE. AWS has a broad and diverse suite of developer-focused tools that help you work the way you want to work, and improve your DX. In this session, we will look at what is available across a number of different application stacks and their associated tool chains. 2018 was an exciting year for the Java Development community on the AWS platform. Several major releases occurred that made building Java-based applications on AWS simpler, faster, and more correct. Come and hear about new features and products in the AWS Java ecosystem including AWS SDK for Java 2.0, Infrastructure as Code with Java and the CDK, Amazon Corretto an OpenJDK distribution and improvements in Serverless Java performance. Business are continuously looking for ways to leverage artifical intelligence to help scale their customer service and support departments. In this session we will step through the process of building a Virtual Concierge experience, powered by Amazon Sumerian, that is able to recognise a visitor at the edge with the AWS DeepLens. You will gain an understanding of the machine learning algorithms that underpin this solution. There are a great set of methods to integrate your favourite Microsoft DevOps tools like Team Foundation Server (TFS) and Azure DevOps with AWS to create CI/CD pipelines. In this session, you will learn how to do hybrid-deployments to AWS and on-premises environments by integrating those DevOps tools with AWS CodeDeploy. We will explore methods to automatically build and deploy ASP.NET/MVC applications to managed IIS environments on AWS using your current toolchain. You will also learn how to automate container deployment with the help of Amazon Elastic Container Service and the art of maintaining your infrastructure as code. This talk will feature a list of quick-hitting pro tips aimed at improving your day-to-day life as a developer building on AWS. This session will cover tips on; working effectively with the AWS CLI and other third-party CLIs; creating, editing, debugging, and deploying an AWS Lambda-powered serverless application quickly and easily using the new AWS Toolkit; and performing powerful filtering and searches on your structured application logs with Amazon CloudWatch. Do you want to learn how to evolve your security capabilities in the cloud? The security track will show you examples of how AWS and our customers move fast and stay secure in the cloud, including protection, detection, and response. Core banking and financial systems are moving into the cloud. This talk will focus on the strategy, the technology, and the review process that customers use to move their most important systems into the cloud. Regulation plays an important role in defining how these systems must be secure and resilient, and this talk will dive deep into the regulatory context. In this session nib Group will discuss, as regulated insurer, their preparations to move a System of Record to AWS, with a specific focus on the platform they built to meet their security, risk, and resiliency requirements. Come to this talk to learn what they did, what they learned on the way, and their guidance on how you could do the same. The Australian Cyber Security Centre (ACSC) awarded PROTECTED certification to AWS for 42 cloud services in the AWS Asia-Pacific (Sydney) Region. This is the highest data security certification available in Australia for cloud, and AWS has the most PROTECTED services of any public cloud service provider. This session will cover the services that were certified, a reference architecture that allows you to build applications which handle highly sensitive government data, and the benefits this provides to public sector and commercial organisations in Australia. The cloud enables every business to have enterprise grade security. You don't have to have a dedicated security team to have strong security in the cloud. You can enable your teams to move fast and maintain a high bar for security. This session is for startups and small businesses without a dedicated security team. You will learn what you can easily implement today to raise your security posture; without breaking the bank. Adaptive Process, a small team of just four, will share their story about how they apply security at every iteration of their journey. Atlassian runs a global SaaS platform where security and customer privacy are critical. This talk focuses on the solution they built using KMS and IAM to provide resilient cross-region encryption and decryption, optimised for performance. Come and learn how Atlassian approached this challenge, and built a solution using a combination of AWS services and the AWS Encryption SDK. In this session you will learn how AWS Deep Learning can be used to automate security operations and build a machine learning system to protect your applications. This session focuses on early detection and containment of security threats, and shows you how to use semi-supervised machine learning to continuously contain these threats. Are you looking to continually improve and optimise? Come and witness how to bring AWS technologies together to evolve development processes and operations to take advantage of the latest cloud innovations. If you are looking to improve running your workloads on AWS then this is the track for you. At AWS scale, with millions of customers and trillions of actions happening every day, we have learned some hard-earned lessons about how to operate reliable and secure services. In this session we'll cover repeatable patterns, tips, and stories from operating some of AWS's largest services. AWS Systems Manager gives you visibility and control of your infrastructure on AWS. AWS Systems Manager provides a unified user interface so you can view operational data from multiple AWS services and allows you to automate operational tasks across your AWS resources. In this session you will learn how enterprises have embraced AWS Systems Manager to address many of the common operational challenges that have emerged on their journey to the cloud. High performance and cost optimised need not be an oxymoron in AWS. In this session we will focus on practical ways to build efficient, high performance architectures. We will focus on how to pick the most appropriate service and resources, understand trade-offs, and reduce costs over time. In this session you will learn about how the adoption of a Cloud Operating Model can accelerate your cloud transformation. You will learn about some of the effective Cloud Operating models (centralised, decentralised and distributed), how they affect organisational structures, and the role they play in digital transformation. Learn the role training plays in your accelerated transformation. Learn how to build and bootstrap a Cloud Center of Excellence (CCOE) and how they evolve as you transform your business in the adoption of cloud. Join this session to learn more about how AWS Training and Certification can help build the foundational and technical skills you need to take your career to the next level. Whether you are an experienced IT professional, new to the world of cloud, or about to enter the workforce, we will provide you with the available learning paths that suits your individual needs best. From online to classroom training, delivered by AWS or Partners, and how you can get Certified. We’ll make it easy for you. Most companies are overrun with data, yet they lack critical insights to make timely and accurate business decisions. Agile experimentation and access to fit-for-purpose analytics tools are key to high-impact outcomes. The analyse track will cover the broad suite of AWS services that enable the ingestion, storage, analysis and visualization of data at scale plus the application of Artificial Intelligence / Machine Learning. Most companies are overrun with data, yet they lack the critical insights to make timely and accurate business decisions. Organisations leveraging data insights and predictive analytics are consistently showing a competitive edge. Join us to discuss the future of modern data analytics platforms and why the economics of cloud make experimenting and innovating with data so compelling. Learn how enterprises are breaking down data silos and democratising data, how they are doing it at scale, and how they evolve from existing data and analytics platforms. Come along and learn about the enhancements that we have made to Amazon Redshift, including features around performance, scalability, and cluster management. In this session, we will deep dive on what's new and share a real-world customer migration story. No code required! If you don't include SQL. Come and learn more about Amazon Lake Formation and get an understanding of how this service helps you to create a best practice modern data platform, assisting you in building capability for enhanced BI, data science, and machine workloads. Explore the various options for streaming data on AWS, such as Amazon Kinesis and Amazon Managed Streaming for Kafka, and the various options for processing streams of data such as Apache Spark, Apache Flink, AWS Lambda, and Amazon Kinesis Analytics for Java. Let's explore what an architecture for processing Australia's new Open Banking data format at 60,000 transactions per second could look like. Geospatial shares the opportunities and the challenges of both high performance computing and big data. With applications from visualising IoT data through to ingesting drone footage, it brings with it increasingly large data sizes, complicated data pipelines, HPC-level transformation demands, and often massive traffic from public users. From Smart Cities through to location-based marketing, rapid analysis of large volumes of geospatial data is becoming increasingly important. In this session you will hear how AWS customers build powerful, flexible, secure, and future-proof geospatial platforms. These systems deliver more business value from location-based data while minimising both compute costs and management overhead. So you want to move workloads to the cloud? Whether you are planning a lift & shift, re-platform or a complete refactor, application migration will be a critical workflow in your journey. This track will showcase ideas, tools and techniques you can use to de-risk and migrate complex applications. Learn the techniques and tools you can apply to ensure that you achieve maximum velocity on your AWS Migration. Discover how to structure your resources into proficient "Migration Specialist Teams" and execute your sprint plans to fully accelerate the AWS migration. We will demonstrate how to leverage automation in CloudEndure to enable the replication of data from multiple machines. The demo will cover configuring the initial replication, cutting over the migration groups in parallel, as well as running any post-migration scripts at scale. Learn about the AWS framework for migration, and the benefits of moving applications on AWS to build a platform for modernisation and innovation. Activities such as discovering your technical estate in detail, determining the right approach for each application, and building a compelling business case for migration and modernisation are essential to start your journey. Hear about some of the vital ingredients in successful migrations and typical blockers so that you can start with confidence. There are many options to migrate SAP workloads to the AWS Cloud. Come and hear how our customers completed their migration on to AWS, gaining increased agility and significantly reducing their operational overhead whilst leveraging new capabilities. Take away some top tips and lessons learnt for your critical migration project. Training your engineers and developers the right way can increase the pace of adoption, cloud migration, and the delivery of business benefits. But what about enabling your finance team? What about your learning and development team? In this session we discuss proven steps for training your whole business so you can use the AWS Cloud securely, efficiently, and effectively. We also review structural mechanisms to help scale your organisation's capacity to move to the cloud. Database migration is a complex, multiphase process, which usually includes assessment, database schema conversion (if you are changing engines), script conversion, data migration, functional testing, performance tuning, and many other steps. The AWS Database Migration Service and AWS Schema Conversion Tool help lower costs, risks, and the duration of your database migration and data replication projects but, how do you use them to maximum effect? This session aims to show you. Do you learn best by doing, but find it hard to get the time? We believe that building is a key part of your learning path, so take the time to work in small teams applying what you know. We commit to giving you access to the tools and time to get hands on working with AWS technologies. A streamlined end-to-end machine learning process enables operational efficiency and improved productivity for the data scientists, developers, and data engineers building machine learning solutions. Amazon SageMaker is a fully-managed platform that enables developers and data scientists to quickly and easily build, train, and deploy machine learning models at any scale. In this workshop, you will be able to ingest, explore, and process the data and then build, train, and deploy a machine learning model. Further, the workshop will also guide you to connect Amazon SageMaker endpoint server to the public Internet using AWS Lambda and Amazon API Gateway in order to effectively host the model to run inferences/predictions over a Single Page Application (SPA). To participate in this workshop, you must bring your own laptop and have administrative access to your own AWS account. Many organisations are embarking on an application modernisation journey to focus on agility and developer productivity to drive growth. Containers play a crucial role in building scalable, secure, and cost-effective infrastructure from the start. Accelerate your test, build, deploy, and run phases, enabling you to deploy software faster and focus on what matters most to your business. In this workshop, you will learn how to containerise an application and deploy onto Amazon ECS Fargate or Amazon EKS. You will also see how to operationalise this environment, creating an automated pipeline for container deployments and configuring application monitoring. Back with a brand new version, AWS GameDay is a simulation exercise that challenges your AWS skills to deploy, maintain, and scale an application in the face of changes and threats from both inside and outside your organisation. You'll work as part of a new DevOps team at Unicorn.Rentals, the company that dominates the Legendary Animal Rental Market (LARM). To maintain Unicorn.Rentals' market dominance, you will be helping us grow and scale our systems. You'll need to manage unpredictable feature releases, changes to our microservices architecture, traffic fluctuations, new requirements, and much more. You and your team will earn points by keeping your application running, the requests flowing, and your customers happy. To participate in this workshop, you must bring your own laptop. Twelve-Factor designs improve component reuse and resilience for developers building large-scale software-as-a-service (SaaS) applications. In recent years, the Twelve-Factor guidelines have become a source of best practices for both developers and operations engineers, regardless of the application’s use case and at nearly any scale. In this workshop, you will build a modern serverless application to see how the Twelve-Factor Application Manifesto guidelines align with serverless best practices. You will be hands-on coding various parts of the application, and make use of AWS Cloud9, Amazon DynamoDB, AWS Lambda, AWS Step Functions, AWS SAM and AWS Code Services. To participate in this workshop, you must bring your own laptop with the current version of Chrome or Firefox, and have administrative access to your own AWS account. Get behind the keyboard for an immersive experience with AWS DeepRacer. In this workshop you will get hands-on-experience with reinforcement learning. Developers with no prior machine learning experience will learn new skills and apply their knowledge in a fun and exciting way. You will join a pit crew where you will build and train machine learning models that you can then take to the track for a chance to climb the AWS DeepRacer League leaderboard! Start your engines, the race is on! As our need for more computing resources has accelerated, so too have the ways in which computing has evolved. The advent of cloud providers like AWS has allowed us to easily scale to suit our needs. But if we want to keep pace, we need an even more automated way to scale our infrastructure. In this session, we’ll look at autoscaling with Kubernetes, how to set it up, and most importantly, what things to monitor in order to drive your autoscaling. Moving backups to the cloud and managing data protection across on-premises and cloud environments can be challenging. In this session, learn how to scale for growth on the AWS cloud and manage data protection for thousands of production EC2 instances. We cover how to backup, restore and protect production databases and workloads with N2WS Backup & Recovery solution, NEW Veeam Availability for AWS, and significant cost-savings in long term data retention with native S3 integration to Veeam’s flagship product, Veeam Availability Suite 9.5 Update 4, as well as a customer testimonial from Kloud. Enterprises are rapidly adopting hybrid cloud strategies to take advantage of both on-premises and cloud services. Moving applications to the cloud can be greatly accelerated with VMware’s solutions, saving time and effort. Customers around the world have already completed successful migrations of hundreds of applications to the cloud in a few weeks, sometimes days, and simplified day 2 operations by providing consistent infrastructure and operations across on-premises and AWS cloud services. Find out how we’re helping enterprises migrate applications and extend data centers to the cloud, deploy cloud-based disaster recovery solutions and modernise applications with VMware and AWS cloud services. With 10+ websites running 100% on cloud, Fitness & Lifestyle Group see over 5 million visitors each month. Hear how the Fitness & Lifestyle Group is proactively protecting the digital user experience of their users, and achieved a 60% optimisation of workloads through Dynatrace enterprise cloud monitoring, powered by A.I. Containers accelerate development. They address the very real challenge of application packaging and delivery. Thanks to containers, teams can quickly and reliably deploy their applications in a variety of environments. But solutions always come with a cost. Containers simplify the developer experience by pushing complexity down into the infrastructure. This shift requires a change in the security approach in order to preserve the advantages containers bring. In this talk, we'll use practical examples to understand the security strategy and tactics you need to continue to accelerate development while meeting your security goals no matter where you're deploying containers. It’s time to stop ignoring all the warning signs, debunk all the myths, and start making real change. Join us to learn the secrets no one else will tell you about “shifting to cloud”. We’ll go deep into security, migration, serverless computing and microservices frameworks and tell some hard truths. As an AWS Premier Partner and 2017/2018 AWS Consulting Partner of the Year - We partner with customers ready to get it done done. AI is transforming every aspect of our daily lives and the data landscape is becoming increasing open and transparent, thanks to the Consumer Data Right, most notably Open Banking. Between the high level academia and low level algorithms, where should the modern business leader start on their AI journey and harness true value from their data? Let us show you a step by step, data-driven approach towards enterprise-wide AI adoption. DiUS and Solve Geosolutions are using artificial intelligence to aid geologists in making smart, consistent decisions with their drill-core imagery. Join us on our journey from idea to development of a machine learning model trained to analyse core samples, enabling geologists to extract maximum value from their data. Discover how the AWS platform is enabling us to operationalise machine learning image analysis as a service to the mining industry. What happens to cloud migration when the cost:benefit to re-write legacy applications running on Windows Server 2003 & 2008 doesn’t stack up? Hear how DXC Technology is helping the National Australia Bank migrate legacy applications to AWS with no code changes, no re-factoring and no license repurchases. You’ll learn how migrating legacy applications that run on unsupported operating systems can be done easily, safely and at scale, by wrapping each app in a compatibility Cloudhouse container once, which provides compatibility for legacy applications on newer Microsoft operating systems with isolation for runtimes, file and network redirection. Learn how Officeworks leverages NetApp’s Cloud Data Services to simplify storage and radically reduce costs. 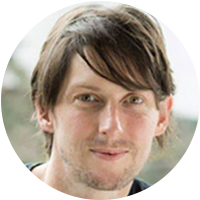 Greg Rose, Principal Systems Engineer at Officeworks, will share first-hand experience using Amazon EC2, Amazon EBS and Amazon S3 with NetApp Cloud Volumes. See how Officeworks instantly creates multi-protocol persistent storage volumes, clones data for easy Dev & Test, utilizes de-duplication to reduce volume sizes, and automatically tiers their data to Amazon S3. Leveraging Officeworks’ techniques with NetApp’s Cloud Volumes, you too will get the most from your cloud investments. From starting in a garage 22 years ago, realestate.com.au is now a ASX 200 company homed in 8 different countries. Join us in the journey of how we create a culture of ownership in this fast-paced digital environment. Ownership is a key enabler that today allows 60+ engineering teams to build and operate more than 1000 systems in 6 different AWS regions. We'll share how we've evolved from a siloed operations team to multiple on-call cross-functional teams, how we expanded ownership beyond IT & include the cultural changes, technology & tools that have helped along the way. Do data quality issues, demanding business needs and increasingly stringent regulations sound familiar? You may have moved your data to a data lake on Amazon S3 or a data warehouse on Amazon Redshift, but how do you deliver the ‘single source of trust’ needed to make decisions with scale and speed? We will share best practices that have helped our customers overcome these challenges. Betfair Pty Ltd, the world’s largest online betting exchange, will also share their experience using Talend and Redshift in enabling a analytics data warehouse with strong data quality and light governance practices. Built with Sumerian, Lambda, Dynamo DB, S3 bucket, API gateway, IOT core, SNS gateway, Amplify, EC2 and Serverless framework to name a few, you’ll get first hand insights on how Visy’s Virtual Concierge vision came to life. Hear about how this innovative project got off the ground, the trials and tribulations during build, where Visy’s ground breaking ‘Dave’ is headed next and opportunities for additional use cases. Presented by Rory Clare, Team Lead & Dan Johnson, Sales Manager Arq Group. Visibility is a must for detecting threats and compromises in the cloud, containers, and on-premises networks. In this session, we will explore how Stealthwatch Cloud uses VPC Flow logs and network telemetry combined with advanced analytics such as entity modeling and threat intelligence feeds like Cisco Talos to detect attacks, data exfiltration, unusual remote access, and traffic that is not compliant with your policies. Businesses range across cloud maturities, from their first foray into cloud to having built elastic and business-driven hybrid cloud. In many organizations, there is tension between the cloud and on-prem IT teams. The on-prem team wants governance, control and reporting and the cloud team wants data mobility, cost control, and little to no impact to current processes. This session covers how Dell EMC is able to address both sets of requirements and allow you to build a safe, compliant and agile platform to support your cloud workloads. We look at how SD-WAN, particularly Juniper Networks Contrail SD-WAN, has evolved to be cloud delivered and cloud connected. In addition to automating connected security policy across the enterprise campus and branch WAN, LAN, WiFi and next-gen firewalls, it weaves together AWS regions, AZs, VPCs and multiple user accounts into a secure and automated enterprise network. Interested in seeing how even an experienced developer falls short in the real world? In this talk, you'll learn, laugh, and cry at all the ways a professional developer has messed up while building real-world web applications, and what was learned along the way. In particular, you'll learn about the 12 Factor Application principles, and how they can prevent you from making the same mistakes. Digital business requires a different breed of applications. Apps that leverage real time event streams, apply machine learning to take immediate action. Flogo is an open source ecosystem designed for just this. Learn how you can leverage Project Flogo to build smart event- driven apps on AWS leveraging services like Amazon EKS, AWS Lambda and Amazon SageMaker. Innovation is driven through evolution, and as the applications we build evolve, so do the underlying technologies. New data stores, databases and compute options enable widely distributed applications to run at hyper-scale at a fraction of the cost. Continuously evolving artificially intelligent machine learning models create ever more natural interfaces in a hybrid fashion between the edge and AWS. Augmented and virtual realities fade into our physical everyday environment, as well as simulation environments, in conjunction with reinforcement learning, making self-driving and navigating robots and machinery a reality. Join Olivier Klein, Head of Emerging Technologies for Asia-Pacific, to learn how these new technologies can be applied within your business and how AWS provides the optimal range of services to make this a reality. Robotics, like machine learning, is often perceived to be reserved for those with years of training and domain knowledge. With AWS RoboMaker, it doesn’t have to be! In this session, robotics on AWS will be demystified and attendees will be taken on a journey of building a simulated autonomous robot arm, then deploying and testing it in reality. Artificial intelligence and augmented reality are quickly becoming mainstream digital strategies to add new immersive experiences; transforming how organisations interact with customers, strengthening relationships, and distinguishing themselves from the competition. In this session we will explore how you can get started with AWS Artificial Intelligence services, paired with the augmented reality/virtual reality capabilities of Amazon Sumerian to build a new type of visually rich, engaging, customer experiences. Customer service expectations continue to evolve and call centres are about to change before our eyes. By capturing and analysing customer service interactions, you can better identify the root cause of issues and improve first-call resolution and customer satisfaction. In this session, learn how to integrate Amazon Connect, a modern, cloud-based contact centre, and AWS machine learning services to quickly process and analyse thousands of customer conversations and gain valuable insights. With speech and text analytics, you can pick up on emerging service-related trends before they get escalated or identify and address a potential widespread problem at its inception. Creating new products and services for customers is an increasingly complex challenge – technology trends are changing rapidly, industries are being disrupted, team dynamics are intricately impulsive, and customer behaviour is highly unpredictable. Albert Einstein famously said “the thinking that got us to where we are is not the thinking that will get us to where we want to be.” What would it take to rethink complexity, and nudge your behaviours to operate more successfully in this complex world? What if you could learn to use experimentation to create better products, high-performing teams, and a culture that is truly innovative? Come and learn how to thrive within the complex and uncertain world of modern business. What happens when the cloud is distributed? The ability to innovate through highly distributed networks of edge locations creates unprecedented opportunity to bring applications closer to the end user. This trend will disrupt industries by providing greater user experience for hyper low latency use cases, such as the 5G build out telcos are facing. Come and hear what the networks and services of the future will look like with AWS Outposts and AWS IoT Greengrass on AWS Cloud and the possibilities it unlocks. AWS Amplify makes it easy for you to create, configure, and implement scalable mobile and web apps powered by AWS. In this session we will explore how you can create, manage, and operate a full-stack, serverless single-page application with AWS Amplify. We will show you how you can rapidly build application backends and APIs using the Amplify toolchain and how the AWS Amplify Console provides a continuous deployment and hosting service for mobile and web applications. We will finish the session with a live coding demonstration creating a serverless web application using these tools. Firecracker is an open source virtualisation technology which enables secure and fast microVMs for serverless computing. Firecracker was developed at Amazon Web Services to improve efficiency and customer experience for services like AWS Lambda and AWS Fargate. In this session, hear more about why AWS built this virtualisation technology, how Firecracker differs from traditional virtualisation technology, and how you can contribute to the open source project. In this session, we crack open the IDE to secure a multi-tenant SaaS platform built on a ReactJS web app and NodeJS serverless microservices. We use Amazon API Gateway and Amazon Cognito to simplify the operation and security of the service's API and identity functionality. We enforce tenant isolation and data partitioning with OAuth's JWT tokens. We'll then abstract the security complexity from developers to keep operational burden to a minimum, maximising developer productivity, and maintaining a great developer experience. Modern applications are often composed of multiple microservices that each perform a specific function. Reliable service-to-service communication is achievable with a service mesh which removes the complexity for data monitoring and traffic routing. In this session we will present the key features provided by AWS App Mesh as a service mesh that makes it easy to control and monitor communications for container-based microservices running on AWS. Heating, Ventilation and Air Conditioning (HVAC) is responsible for keeping us warm and comfortable indoors. In a modern building, data such as weather, occupancy, and equipment use are collected routinely and can be used to optimise energy use. Reinforcement learning (RL) is a good fit as it can learn patterns in the data and identify strategies to control the system so as to reduce energy consumption to up to 20%. In this session we will be training a reinforcement learning algorithm with Amazon SageMaker using an open source simulator, EnergyPlus, to train an agent to optimise energy usage. We will then publish this model in AWS Marketplace for other customers to reuse your machine learning solution. Security issues in your environment need to be identified and corrected faster than ever. AWS makes this easier with increased visibility and automated remediation capabilities. Australia Post will show you how they built an effective automated remediation pipeline that took the potential for human error out of the equation. In this session you will learn how to align your AWS environment to industry standard best practices for security. This session covers AWS' prescriptive recommendations for securing cloud workloads, including the the Well-Architected Framework for Security. In addition, see how AWS Security Hub simplifies the task of measuring the security of your workloads. This session will show how Telstra uplifted their forensics and incident response capabilities by using AWS services and automation to deliver a scalable forensics platform. You will learn how to use AWS to simplify forensics and incident response in the cloud. Come see how automation enables investigators to easily retrieve the data they need to make decisions and respond faster during security incidents. Are you hard coding credentials in your software? Do you have passwords you need to centrally manage, while maintaining access control? In this session you will learn the best ways of using the AWS platform to build applications with zero knowledge of the credentials that are used. AWS and Xero will talk about the various methods AWS gives you to ensure you can handle secret values with confidence using automation in a multi-account environment. From IAM Roles, to bearer tokens and automatically rotated secrets, we will walk through a real life application and show how easy it is to keep your secrets safe. This session will explore how to use chatbots and AWS services to offload some of the most frequent calls to your service centre. Empower employees to manage their own accounts, passwords, and access. See how natural language interfaces combined with AWS serverless technologies enable your organisation to build cost effective self-service capabilities. You'll learn how to provide a personal experience for your users, right on their mobile phones. Welcome to the real world, where things don’t always go your way. You’ve designed your systems to be highly available, scalable, and resilient, and yet sometimes they fail anyway. These failures, if used correctly, can be a powerful lever for gaining a deep understanding of how your system actually works, and a tool for spreading knowledge through your engineering community. In this session we will cover some of AWS’ favourite techniques for defining and reviewing metrics – watching the systems before they fail – as well as how to do an effective post-mortem that drives both learning and meaningful improvement. This is a story about how PageUp bounced back from a recent security incident with a ‘Castles in Castles’ approach to further protect their customers - Multi Account Cloud architecture, automated security baselines, design of sensible guard rails, and provisioning of platform capabilities at scale across product development without creating any bottlenecks. Automation has reaped efficiencies in business and IT operations and extending it with predictive maintenance will further improve reliability. In this session, learn how to architect a predictive and preventative remediation solution for your applications and infrastructure resources. We show you how to collect performance and operational intelligence, recognise and predict patterns using AI and machine learning, and fix issues. We show you how to achieve it using AWS native solutions, Amazon SageMaker and Amazon CloudWatch. In this session we'll explore the different Linux primitives that are commonly used in implementing container runtimes. We’ll learn about cgroups, namespaces and union filesystems and explain how these are leveraged by container runtimes like Docker to deliver powerful container management system. In this session we’ll demonstrate how Docker uses each of these primitives and show how you can effectively inspect and troubleshoot containers from the host operating system. Black Belt Tips makes a comeback for the sixth consecutive year. How you used the AWS platform last year should be different to how you utilise it today. In this session we will review the new networking features like Amazon VPC sharing and AWS Transit Gateway. Learn how to architect shared networks, hybrid connectivity, and have network observability at scale. Take your Cloud Operations to the next level with the curated set of tips and network perspective in mind. Learn how our customers are using the breadth and depth of the artificial intelligence and machine learning offerings on AWS to create new business models and optimise existing processes. Whether you're new to machine learning, or wanting to take your capabilities to the next level, you'll learn how AWS helps you to overcome machine learning challenges on a production scale. Your business needs the best insights in the hands of decision makers -- executives, business users, analysts, data scientists. Traditional approaches to extracting, preparing, staging, securing, and serving information require a painful amount of heavy lifting. In this session, we will share what next-gen data lakes and analytics platforms have become. We look at ML-powered data warehousing with Amazon Redshift, ML-enhanced data collection and preparation with Amazon Lake Formations, and building ML development environments on a secure, open data lake. Organisations are increasingly gaining insight and knowledge from a number of IoT, API, clickstream, unstructured, and log data sources. Learn how AWS Glue makes it easy to build and manage enterprise-grade data pipelines to ingest, clean, transform, and automatically catalogue data, which enables a variety of use cases such as ad-hoc analytics, data warehousing, big data analysis, and machine learning. Also, find out how to intergrate an end-to-end CI/CD pipeline to automate the release management process for your serverless data pipelines. How do you design a high performance and scalable database for a global e-commerce application or build a datastore to power a high volume recommendations engine or ingest and query millions of timeseries events from IoT sensors? While relational databases have proven to be successful in the past, emergence of newer application use cases create a need for specialised data persistence and query models. In this session, you will learn about use cases where non-relational databases can be a better choice and explore the suite of AWS non-relational data stores. Many practitioners of deep learning start from tailoring DL code from existing tutorials and examples on the Internet. These examples are often developed without optimisation of GPU utilisation in mind. In this session we provide attendees with simple steps of best coding practices in order to optimise their code to optimize GPU/CPU utilization for training and utilisation that significantly reduce cost of both training and inference using Apache MXNet and Amazon SageMaker. Atlassian's Data Lake, Socrates, is used by over 1500 internal users every month to gain insights and drive decisions. In this session we will give an overview of how Socrates uses Amazon S3, Amazon Kinesis, Amazon Athena, Amazon EMR, and AWS Glue to build the four pillars of any data lake: Ingest, Prepare, Store, and Query. We will focus on the goals of self-service and scalability, discuss the various challenges encountered, and the solutions found. NAB has publicly stated its intent to transform technology and operations investing a further $1.5B over the next 3 years. A major element is a mass migration of applications to cloud to help unlock the cost, risk and agility benefits, and enable their teams to deliver better customer outcomes. During this session, you will hear how NAB formulated their strategy, why NAB partnered with AWS, lessons learned through its journey to the Cloud, and how this shift has brought value to both its employees and customers and will continue to yield gains to its business. While cloud has become the new normal for organisations of all sizes, many IT executives and budget owners continue to struggle to articulate the business value of moving to the cloud in terms that resonate with the board and c-suite. In this session, we will walk through the impact of cloud computing on the overall IT cost base. We will also cover what the typical non-cost benefits are, and how they can be measured and communicated. Finally, we will provide an overview of the tools and support to help you on the journey. The benefits of cloud for the enterprise are numerous but where and how do you start? John Holland Group was able to fully migrate its on-premises applications to AWS successfully on time and on budget, with minimal impact to the business. Achieving a benchmark win of 60% reduction in data centre spend. We’ll propose a prescriptive approach for successfully migrating your on-premises applications to AWS, removing risk from foundation, migration, and operation. Learn mechanisms and practices to make your journey successful and achieve sustainable change, retire legacy infrastructure, and build a future ready business. VMware Cloud on AWS brings a new dimension of mixed application architecture, offering the opportunity for augmenting existing and legacy applications. Learn how VMware Cloud on AWS helps build a lower-risk, iterative transformation approach to your traditional applications and data in a hybrid cloud environment. Recently announced, AWS Outposts also promises to extend cloud services into your data centre. We will demonstrate recommended practices to protect and scale your workload by integrating AWS services such as Amazon S3, Amazon Relational Database Service, and Elastic Load Balancing. This session will help you bring your entire IT landscape closer to your digital innovation goals. File servers are critical to highly available and reliable operations for companies of all sizes. Managing these file servers brings complexity and associated operational overhead. Amazon FSx for Windows File Server provides a fully managed native Microsoft Windows file share service so you can easily move your data and Windows-based applications that require shared file storage to AWS. In this session, we will explore the benefits of Amazon FSx for Windows File Server, dive deep into the service, and demonstrate how to get up and running and migrate your existing Windows File Shares. Security best practices help you secure your workloads in the cloud to meet organisational, legal, and compliance requirements. This fast-paced intermediate level technical workshop will guide you through core security best practices aligned to the AWS Well-Architected Framework. Using your own AWS account you will learn through hands-on labs and a group exercise in securing an Amazon EC2-based web application covering identity & access management, detective controls, infrastructure protection, data protection and incident response. We will end with a chalk talk for open Q&A. There is a focus on automation, and previous experience with AWS CloudFormation is recommended. Developing machine learning models requires a lot of effort which often needs to be repeated over time as data distributions change. In this session you will learn about some of the latest concepts in Automatic Machine Learning including how to apply them to speed up development and achieve robust models over time. You will learn how to run a custom labelling job using Amazon SageMaker Ground Truth to build a larger data set to fine-tune your model. You will also learn how to tune your model’s hyperparameters using Amazon SageMaker’s Automatic Model Tuning capabilities and understand the theory of how bayesian optimisation is automatically applied for more accurate results and faster tuning. Amazon Alexa is Amazon’s cloud-based voice service and the brain behind tens of millions of devices enabling new customer experiences across many devices at home, work, in the car, and on the go. As a developer, you can build capabilities, or skills, that make Alexa smarter and make everyday tasks faster, easier, and more delightful for customers to fundamentally improve the way people will interact with technology. In this workshop you will learn how to build your first voice skill with Amazon Alexa. We will cover how to build an Alexa skill, utilise AWS services such as AWS Lambda and Amazon DynamoDB, mimic human behaviour with your Alexa skill, and test and publish a skill. You’ll also walk out of the workshop with tips on how to make your Alexa skill more engaging to customers with voice user design best practices. To participate in this workshop, you must bring your own laptop and have administrative access to your own AWS account, as well as an Amazon Alexa Developer account. An effective API product allows software as a service (SaaS) companies to build ecosystems around their services to empower developers to build new products and services. In this workshop, you will build a modern serverless API developer portal and follow best practices for API consumption and publishing. You will be hands-on coding, making use of Amazon API Gateway, Amazon DynamoDB, Amazon Cognito, AWS API Gateway Serverless Developer portal, AWS Amplify Console, Amazon S3, AWS Lambda, Amazon ECS, AWS CodeBuild, AWS CodeDeploy and AWS CodePipline. Organisations of all sizes, industries, and revenue, are adopting the cloud to transform their businesses and stay one step ahead of their competition. The key to success is to be able to drive accountability across all business groups, which can only be achieved through efective cloud management. Although each organisation has unique requirements and reasons for adopting the cloud, they commonly follow the same phases along their cloud journey. In this session, we will discuss the four phases of a cloud journey: Cost Optimisation and Visibility, Security Compliance, Governance and Automation, and Service Integration, and what best practices you need to implement throughout each phase. No matter where you are in that lifecycle, CloudHealth is here to support you with key CloudHealth functionality across rightsizing, containers, RI management, and governance and security policies. We will share real-world example sand highlight how our platform will continue to evolve with the support of VMware. The 2018 FIFA World Cup marked SBS’s most connected sporting event, uniting more than nine million Australians from diverse communities around the country. With the 2019 FIFA Women’s World Cup just around the corner, Noel Leslie will share SBS’s ongoing evolution to offer audiences a seamless multiplatform experience across television, radio and online. It’s critical to select a forward-looking approach to how you organize, use, and enrich your data in the cloud. Modern data repositories have always made it easy to store your unstructured data, but getting insights from that data has often been painful, involving batch ETL processes, data pipelines and so forth. In this session, we’ll see how to build complex queries to draw valuable insights from data directly in MongoDB and then visualize it using MongoDB Charts, a tool built to natively process rich, nested JSON documents. In this session you will learn what the motivations were for a dockerless approach and how Podman and Buildah enhance Red Hat OpenShift. With so many distributions of Kubernetes it’s important to know when and why you should decide to use Red Hat OpenShift in a world where having choices, while maintaining confidence, is becoming more critical than ever. Struggling to keep up with an ever-increasing demand for data at your organisation? Do you spend hours tinkering with your streaming data pipelines? Does that one data scientist with direct EDW access keep you up at night? Introducing Snowflake, a brand new SQL data warehouse built for the cloud. We’ve designed and implemented a unique cloud-based architecture that addresses the most common shortcomings of existing data solutions. With Snowflake, you can unlock unlimited concurrency, enable instant scalability, and take advantage of built-in tuning and optimisation. Join us and find out what Netflix, Adobe, and Nike all have in common. Extending the cloud into the real world and interacting with it is simpler than ever before. Through IoT devices, Computer Vision and Machine Learning, we now have the power to build solutions that were still unthinkable only a few years ago. Meet "Porter"; the automated doorman, a device that identifies food delivery drivers and automatically lets them up to your apartment. From inception to operation, we’ll walk you through how we developed this and demonstrate the end result so you can learn from our mistakes and apply the lessons we learnt when embarking on your next IoT endeavour. How do you validate and deliver massive streams of data in a consumable way to provide value to NSW citizens? This was a challenge that AC3 solved with DFSI Spatial Services. Learn how we leveraged the latest AWS technology to implement automated digital cadastre products to deliver meaningful change and operational efficiency. Ten years ago, DevOps broke down the silos between Engineering and Ops and accelerated the pace of innovation. Today, a similar pattern is emerging where effective cloud infrastructure adoption and usage requires a deep collaboration between technical teams (DevOps) and their new partners in finance and business. Attendees will learn from cloud innovators how to scale their cloud adoption by collaborating across operations, development and finance to continuously optimise cloud spend, using an emerging practice known as FinOps. Based on data collected that analyzed millions of resources across 100’s of customers, human configuration errors that may expose your AWS resources is increasingly common. The potential impact can be significant. Everyone needs to play their part in managing the risks, but first you need to understand what risks need managing. We’ve distilled our customer experiences into the 5 most commonly made errors and how best to ensure you avoid them and the potential impact. This is an AWS Partner led session. Managed Services is rapidly evolving. What does the future hold? How can you start harnessing its power and capabilities today? This session discusses the future of Managed Services and the leading edge DevOps capabilities used for both providers and their customers. In particular, how delivery capabilities can be directed to the point of need instantly by predicting requirements and leveraging self-healing architectures. AWS and Optus are helping to make this a reality today for Enterprise and Government. Join our session to find out how you can reimagine Managed Services with DevOps practices and tools through currently deployed Australian examples. In this session, we define cloud governance and explain its role in achieving security, compliance, and architecture best practices. Using real-world case studies from Fortune 100 enterprises, we demonstrate how governance automation is being used to accelerate the migration and ongoing operations of hundreds of enterprise applications, all while increasing visibility and control for the enterprise. This session is brought to you by AWS partner, Turbot. Embarking on a journey to fully adopt Kubernetes, transform to CI/CD, and build and launch a new brand all at once was a courageous decision. At the start of 2018 the Carsguide engineering team set a goal to "Move with speed and have pipelines deliver software in sub 5 minutes" and engaged Vibrato to help. The existing release pipelines slowed developers, with it taking up to 45 Minutes for an engineer to know if their code actually worked. Looking back after a successful product launch of Autotrader in Australia in late 2018 - the Vibrato and Carsguide team will talk about all the lessons learned in going from zero containerisation to production Kubernetes in months. As the Worldwide Lead Solutions Architect for Amazon Web Services, Glenn is responsible for creating architectural best practices and working with customers on how they use the cloud and innovation to transform their own businesses or disrupt new markets. Glenn has worked in engineering, R&D, and technology leadership roles with customers such as Facebook, Twitter, NASA and worked on projects such as the Hadron super collider, interplanetary networking and large scale distributed systems. 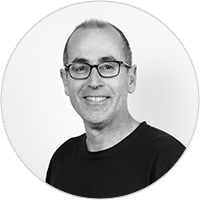 Prior to joining AWS, Glenn was the CTO of WebCentral where he worked on highly scalable web platforms and big-data systems for customers. He also held roles at Ozemail and UUNET the world’s largest network provider. 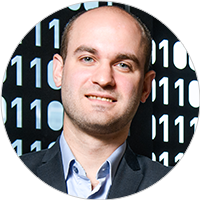 Olivier works with customers across Asia-Pacific and Europe, advising how AI, Machine Learning, and IoT technologies can create new products, make existing processes more efficient, provide greater business insights, and leverage new engagement channels for end-consumers. 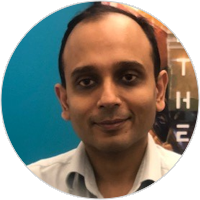 He has helped customers build platforms that align IT infrastructure and service spending with revenue models, reducing waste and innovating product development. Prior to joining AWS, Olivier ran the digital product strategy for an American multinational publishing, education and media company in Asia and led the engineering/R&D efforts to build a virtualised web service platform for a Luxembourgish Internet Service Provider in the pre-cloud era. Adrian Cockcroft has had a long career working at the leading edge of technology, and is fascinated by what happens next. In his role at AWS, Cockcroft is focused on the needs of cloud native and “all-in” customers, and leads the AWS open source community development team. Prior to AWS, Cockcroft started out as a developer in the UK, joined Sun Microsystems and then moved to the United States in 1993, ending up as a Distinguished Engineer. Cockcroft left Sun in 2004, was a founding member of eBay research labs, and started at Netflix in 2007. He initially directed a team working on personalization algorithms and then became cloud architect, helping teams scale and migrate to AWS. As Netflix shared its architecture publicly, Cockcroft became a regular speaker at conferences and executive summits, and he created and led the Netflix open source program. In 2014, he joined VC firm Battery Ventures, promoting new ideas around DevOps, microservices, cloud and containers, and moved into his current role at AWS in October 2016. 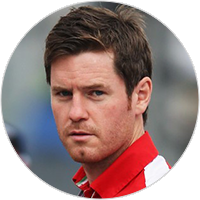 Now working as a Technical Consultant for F1, Rob Smedley has spent the last 20 years working as an engineer with various Formula 1 teams including Ferrari and latterly Williams. Prior to joining Williams, he worked for the Ferrari F1 team initially as senior test engineer and subsequently as race engineer for Felipe Massa. After ten years, both moved to Williams; Smedley as Head of Vehicle Performance, and Massa as driver. In his new role for F1 Rob will lend his technical expertise to the broadcasting and coverage of F1 "across all of its platforms” with the end goal of transforming the F1 fan experience. In July 2015 Rob was awarded an honorary Doctor of Technology from Loughborough University in recognition of his outstanding contribution to Formula 1 and race engineering. 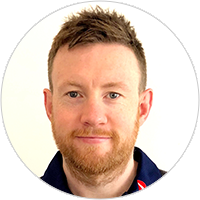 Cathal has seven years experience at Rugby Australia, beginning in data analysis before transitioning to work with the Qantas Wallabies at the beginning of the 2014 season. Since then he has spent five seasons working directly with the coaching team as head performance analyst, and is responsible for game analysis, the team’s technology footprint and building Rugby AU’s analytics program. By acting as a conduit between the coaches and analytics professionals, he ensures requirements are translated to the analysts and in turn, results are delivered in a concise, visual manner to engage the decision makers. 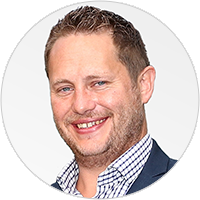 Prior to joining Rugby AU, he accumulated eight years’ experience working in technology across multiple industries including telecommunications, medical devices and microprocessors. His passion is in utilising technology and data to improve efficiencies by providing timely, actionable information to coaches and players in order to improve team and individual performance. Kevin has been the Head of Technology for Rugby Australia for the last 4 years and during this time he led the transformation to a cloud first approach. He is now responsible for all technology requirements and personally led the development of the Rugby Australia High-Performance Analytics solution. This solution combines a single nationwide data repository, with advanced analytics and machine learning models to provide coaches and athletes with essential insights on the key factors that can impact results. Kevin joined Rugby Australia nearly 7 years ago as a Software Developer and holds a 1st Class BSc (Honors) in Software Engineering. Paul is a co-founder and major shareholder in Square Peg Capital which is a venture capital fund focussed on investing in early stage technology companies in Australia, Israel and South East Asia. Paul is a Commissioner of the Australian Football League (AFL). He is also on the board of Innovation Australia, the Peter MacCallum Cancer Foundation and the P&S Bassat Foundation and served as a director of Wesfarmers from 2012-2018. Paul co-founded SEEK in 1997 and served as CEO and then as Joint CEO from 1997-2011. SEEK is the world’s largest online employment business and has market leading businesses in Australia, China, Brazil, Mexico and throughout South East Asia. Paul started his career as a lawyer and practiced for 6 years. 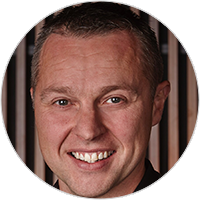 Paul holds a Bachelor of Laws and a Bachelor of Commerce from The University of Melbourne. Dr. Kazi Zaman, Vice President of Engineering at Electronic Arts(EA), is responsible for EA's Data and AI Platform. This consists of open source, cloud based infrastructure powering analysis of EA's petabytes of gamer and gameplay data as well as AI powered applications for richly personalized player experiences. Dr. Zaman’s prior experience includes Yahoo! where he managed teams working on the HDFS and Map Reduce components of Apache Hadoop and Oracle(Siebel) where he worked on what is now the core server at the heart of Oracle's Business Intelligence offering. He received his Ph.D in computer science from Columbia University in the area of databases and previously received a B. Tech in computer science and engineering from IIT Kharagpur. 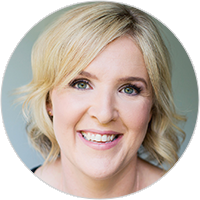 Lisa Miller is Group Lead of Global Acquisition and of Activation and Engagement at Canva, an online design and publishing tool which makes graphic design simple for everyone. Since launching in 2013, Canva has grown to over 15 million users across 190 countries, with more than 1 billion designs created, at 33 designs per second. Today Canva is growing from strength the strength, with over 500 team members working together on a mission to empower everyone to create beautiful designs. 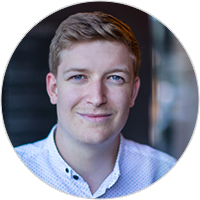 Sam Crowther is CEO and founder of Kasada, an Australian cyber security company. Its industry-leading platform, Polyform, stops malicious automation (bad bots) attacking websites and web applications. Sam started Kasada in 2015 at the age of 19. He now leads teams in Australia and the US, from his new base in Chicago. While still at school, Sam was the first student to be offered two work placements at the Australian Signals Directorate. On leaving school Macquarie Group recruited Sam to its global cyber threat management team. Besides inventing a range of security products, Sam has raised more than $5million from leading Australian VCs and the Australian Government's Accelerating Commercialisation program. He is a passionate promoter of Australia's cyber security ecosystem and foundation supporter of AustCyber. Leading enterprises, including companies in the ASX100, trust Kasada to protect and assure their online digital transactions. Managing a large team of people across multiple time zones and navigating more than a few languages is just one part of carsales CIO Jason Blackman’s daily duties. Since stepping into the position of CIO, Blackman has endeavoured to open up the concept of technology to the business and boost its reputation as a formidable force as a business unit. Over the past 2 years, Blackman and his team have not only grown in numbers and geographic locations but also expanded in their capabilities to offer world-class technology solutions that benefit all parties. This has largely been supported through the complete transition to being a cloud-based enterprise and in late 2018 and under Blackman’s leadership, carsales hit that target and became fully operational via AWS as a genuine cloud-native.